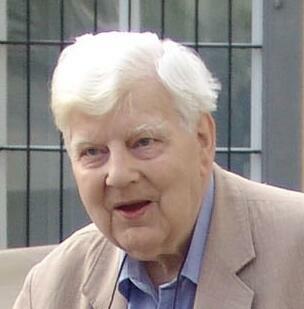 When a philosopher by the name of Sir Michael Dummett died recently, Harvard University Press placed an “in memorium” in The New York Review of Books with the following quote from his Origins of Analytical Philosophy: “Frege was the grandfather of analytic philosophy, Husserl the founder of the phenomenological school, two radically different philosophical movements. In l903, say, how would they have appeared to any German student of philosophy who knew the work of both? Not, certainly, as two deeply opposed thinkers: rather as remarkably close in orientation, despite some divergences of interests. They may be compared with the Rhine and the Danube, which rise quite close to one another and for a time pursue roughly parallel courses, only to diverge in utterly different directions and flow into different seas. Why, then did this happen? What small ingredient into the thought of each was eventually magnified into so great an effect?” This brilliant quote can describe so many human situations and institutions in which the path followed by individuals originally brought together for a common purpose eventually separates. Certainly it was true say of Lenin and Trotsky or of Freud and Jung—both examples of individuals united by their devotion to common causes who ended up representing irreconcilable ideologies. In the case of Marxism and psychoanalysis it’s easy to understand the nature of the shared purpose, ie social and individual liberation. Dummett’s quote ends up by asking what element catalyzed the creation of antinomies. But what was the ovum out of which language philosophy and phenomenology were born? It’s a question that can also be asked about the world’s three great and often warring religions, Islam, Christianity and Judaism?